The Safari range has been designed to meet the needs of the market for economy small leather goods but this does not mean that quality and style have been compromised, in this excellent value for money range, which is made from soft nappa leather. 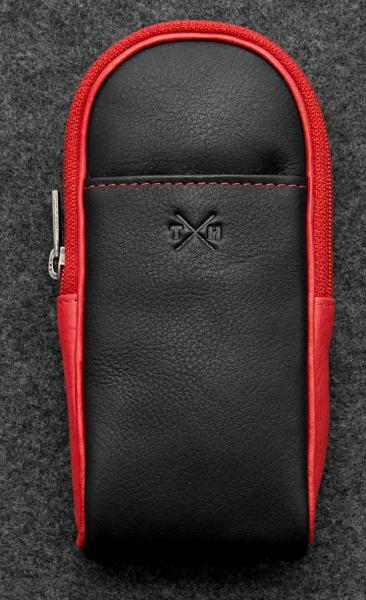 This spectacle case has been designed to accommodate a standard pair of reading glasses or sunglasses. Dimensions; 7cm x 16cm x 2.5cm. It is available in black and red.